Oppo has always offered great build quality on their smartphones and they have outdone themselves with their latest R9s. The design is far from original, but the execution trumps most phones on the market - it's thin and light and the six-string antenna design is the first of its kind. Recently, a sub-genre of the 5.5" premium mid-range market emerged and the R9s is among the best of them. These phones focus on camera performance and battery life, without going full flagship. The camera is certainly flagship grade on paper - with the latest Sony sensor that supports Dual PDAF and a very bright f/1.7 lens plus 4K 2160p video capture, the Oppo R9s challenges the best of the 2016 camera phones. A 16MP camera on the front promises great selfies too. 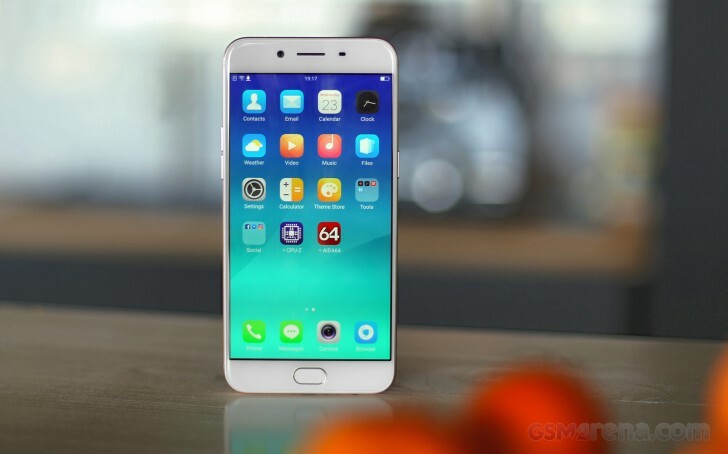 Oppo chose to power the phone with an efficient (if not fast) Snapdragon 625 and paired it with a generous helping of memory - 4GB RAM and 64GB storage. You won't see brashly advertised, but the phone bears a 5.5" AMOLED screen, which will render the vibrant ColorOS theme beautifully. The 3,010mAh battery may not sound like much, but it's more than the iPhone 7 Plus has and as much as the Galaxy Note5 has. The 14nm chipset should stretch that quite a bit and the VOOC fast charging is among the most powerful - 20W of power, delivered in a way that won't heat up the phone. We mentioned the "six-string" antenna design several times now and if you haven't figured out what that is, perhaps we should mention what isn't here - notice any thick, plastic antenna lines? No! There are only six thin grooves that initially seem only for decoration but these are the missing antenna lines instead. The Oppo R9s is the first phone to hit the market with this design - a great way to kick off this review. Let's see if it can ride this positivity all the way to the end.